The vacant former West Albany Safeway building was constructed in 1966. The local news on the retail grocery front is not exactly rosy with the impending closure or sale of Ray’s Food Place stores in North Albany and Philomath. 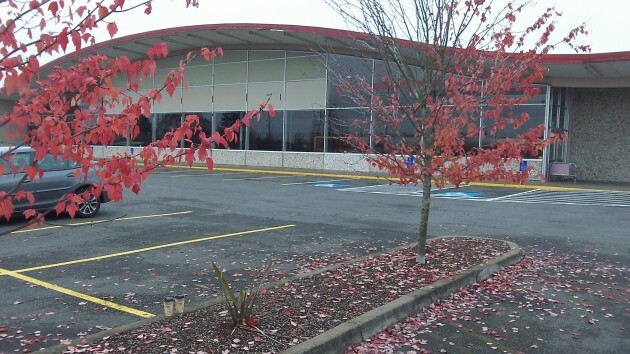 But what about the former Safeway store in West Albany? Could it ever reopen, and if so as what? The building was closed in 1999, when Safeway opened a bigger Albany store in the Heritage Plaza shopping center south of 14th Avenue. Since then the building has stood vacant except for a few years when it housed a liquidation outlet. Now the only use the property gets is during the summer, when a plant nursery sets up a sales operation on the parking lot. West Albany residents may still hope for the resurrection of a grocery supermarket in that building. It would save them a drive across town. But if it hasn’t happened so far, how likely is it to happen now? The property is owned by Kampfer Family Limited Partnership, whose tax contact is an accounting firm in Pleasanton, Calif. Speaking of taxes, the property is still producing plenty of those. Over the last 10 years, from 2004 through 2013, the real estate, now assessed at $1.6 million, has generated nearly $300,000 in property taxes for the city, county, schools and other taxing districts. This fall the bill is $27,699, substantially more than the $20,609 in 1998 when Safeway was still there. Helen Burns Sharp, on Facebook: The old Safeway site is a sad story from several perspectives, including livability and traffic. I’m still proud of my late husband for organizing the mini boycott in 1999. Safeway officials said the Albany uproar was a major factor in their deciding to keep the downtown store in Corvallis. Floyd Collins, on Facebook: The last time I was involved in discussions about this site, Safeway held a long term lease on the empty building. When contacted they were not interested in releasing their interest. I was in a discussion just last week where a potential tenant indicated that they had not been able to get Safeway to respond to them about a sublease to a non-grocery use. The reason these buildings stay vacant is because no one can afford their lease prices. I am with a group of local parents and community members who have been trying to start a charter school but we have no affordable options to house a school. If a corporation leases to a non profit they can avoid paying taxes if proper paperwork is filled out.